Come join us for “Seize the Moment”, the 2019 IntraContinental Region Spring Conference, at the Doubletree Galleria in Dallas, TX. Lodging rate, $119 per night, including breakfast (reservation deadline is April 19). For Conference and Hotel information and itinerary, please check our website to keep up with what is new, at: www.wlcjregion.org/intra/. Experience personal growth through programs for education, leadership, social networking and relationship building to help you foster a living Judaism in the home, synagogue and community. Increase the number of Anshai Torah members you meet, thereby increasing the chance you'll feel like you've found your spiritual home when you attend services and events. Engage in leadership development. Build on talents you have and discover some you didn't know you possessed. Contribute to our synagogue in numerous, integral ways through fundraising, programming and volunteer services. Meet fascinating women of all ages, backgrounds and interests. Make connections throughout our congregation, our community, our world. 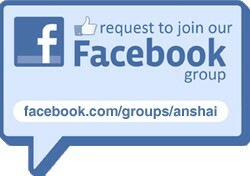 All women are welcome to join and membership to Anshai Torah is not required. Our dues are $40.00 a year per member. Of that amount, $15.00 goes to our national organization, Women's League for Conservative Judaism. The other $25 is used to support Sisterhood and pay for programming. Every woman has the opportunity to participate in preserving, promoting and perpetuating Conservative/Masorti Judaism through active giving to the Torah Fund Campaign of Women’s League in support of the Jewish Theological Seminary (New York, NY), Ziegler School of Rabbinic Studies (Los Angeles, CA), Schechter Institute of Jewish Studies (Jerusalem), Seminario Rabinico Latinoamericano (Buenos Aires), and Zacharias Frankel College (Potsdam). Every organization in which you come in contact wants you, your time and your energy. So why should Sisterhood at Congregation Anshai Torah be a part of your life? The answer is simple. You spend time doing things for your family, our synagogue, your job. You provide services: chauffeur, caregiver, chief cook and bottle washer, laundress, social chairman - the list goes on and on. You need to ask yourself; what do I do just for me? The answer should be Sisterhood. Come to our gatherings to have some time just for you. Take time to be with other Jewish women, to learn something new, to have some fun and a good laugh. Enjoying life and laughter are integral parts of Sisterhood. Use the right side of your brain and expand your Jewish knowledge. Take a big breath and relax, vent, brag, discuss, ask/give advice with other women who share similar goals and life dilemmas with you. Sisterhood wants to get to know you and we think you will enjoy getting to know us! Did you know CAT Sisterhood has a Facebook Page? Please like us! Contact Lisa Gerstenfeld at Sisterhood@anshaitorah.org and she will add you as a member to the CAT Sisterhood Page.